On Monday 2nd October 2017, the Bournemouth International Centre was a hive of activity as 1,000 students attended the third annual Digital Wave – the largest digital youth conference in the UK. Aimed at young people between 14 and 19 years old, the event showcases the many different careers and opportunities in the digital and creative industries. 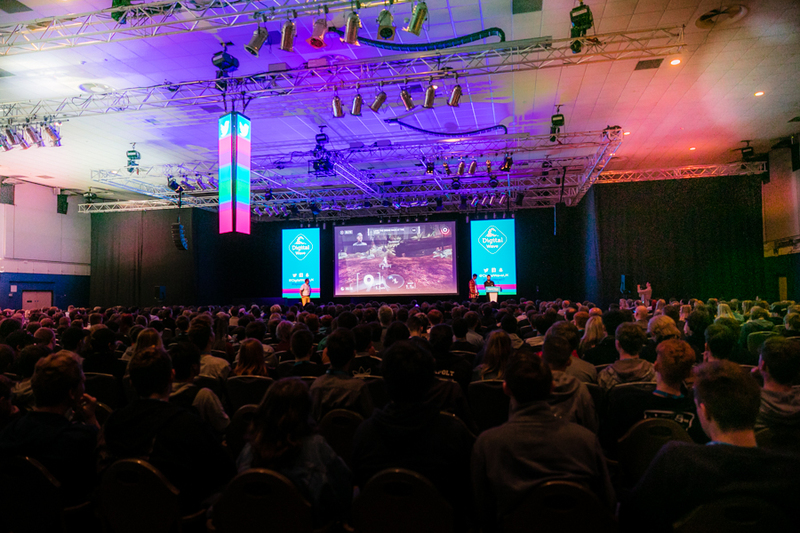 Organised and funded by our team at Redweb and sponsored for 2017 by Digital Horizons, Dorset Local Enterprise, BFX Festival and Brighter Productions, the conference attracts a variety of local and international speakers from digital agencies, game development, visual effects studios and global pioneers in technology. Vivienne Rudcenko, YEAY – Vivienne talked about how today’s young people innately understand digital and explained how they can turn their hobby into a business. Other speakers included Jamie Sergeant of Crowd, Matt Hawkins from MiMiC, Ari Rubenstein of Blue Sky Studios and comedian and freelance creative Joe Bor. There was also an interactive panel hosted by LoveLove Films, which gave students the opportunity to ask questions and gain insight. Outside of the talks, the exhibitions area was buzzing with energy as students had the chance to get hands-on with new technology, including VR headsets, 3D printing pens, robots and interactive games. Exhibitors included Bournemouth University, Bournemouth and Poole College, Barclays Eagle Labs and J P Morgan as well as local agencies Greenwood Campbell, Crowd, Cold Banana Studio, Createful and hosts Redweb. View the gallery of photos from the day, or see what you missed in our Digital Wave 2017 video.